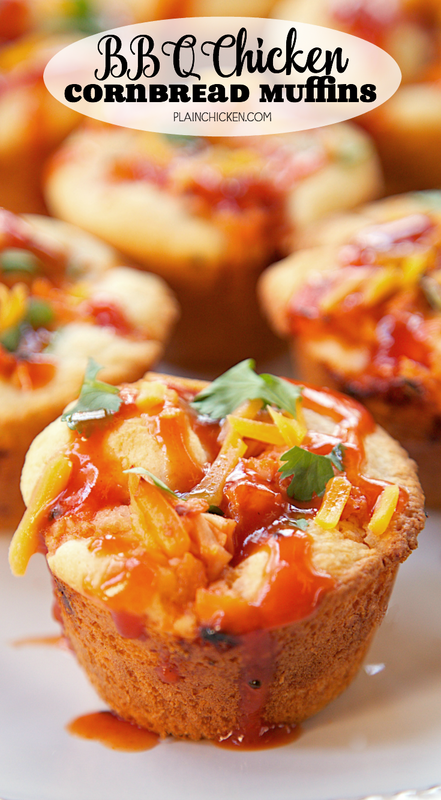 BBQ Chicken Cornbread Muffins - only 5 ingredients and ready to eat in under 30 minutes! Martha White Buttermilk Cornbread Mix, milk, cooked chicken, BBQ sauce and cheddar cheese. 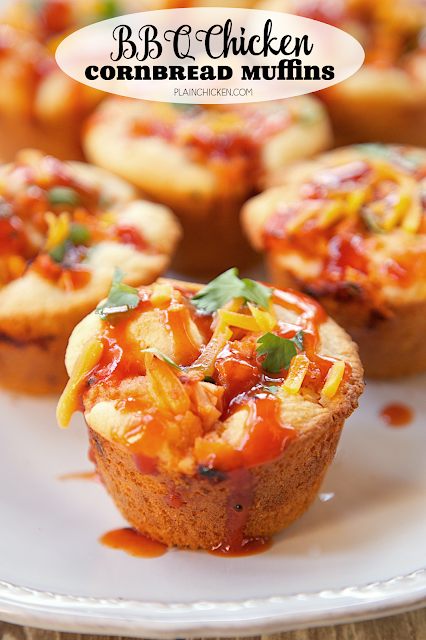 Top muffins with extra BBQ sauce and cilantro. SO good! The whole family gobbled these up! They have already been requested again for dinner. In honor of the upcoming 20th Anniversary of the National Cornbread Festival, I am participating in a Martha White virtual potluck with some of my favorite bloggers. 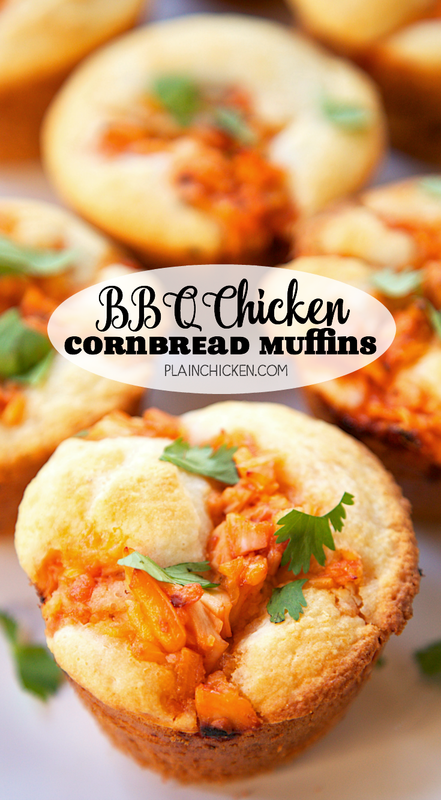 I am bringing these BBQ Chicken Cornbread Muffins to the potluck. They are super easy and taste fantastic! Chicken Legs couldn't get over how good these were. I couldn't get over how easy they were to make. 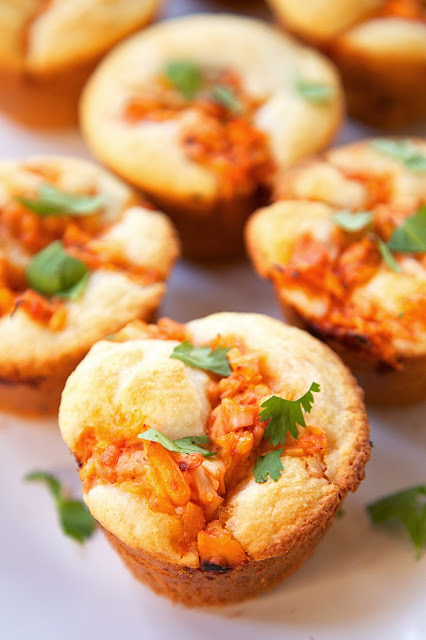 There are only 5 ingredients in these BBQ Chicken Cornbread Muffins - Martha White Buttermilk Cornbread Mix, milk, cooked chicken, BBQ sauce and cheddar cheese. The best part is this recipe takes about 5 minutes to assemble and it is on the table in under 30 minutes! I topped our muffins with extra BBQ sauce and a little cilantro. These were a huge hit in our house! Chicken Legs already requested them for lunch again next week. 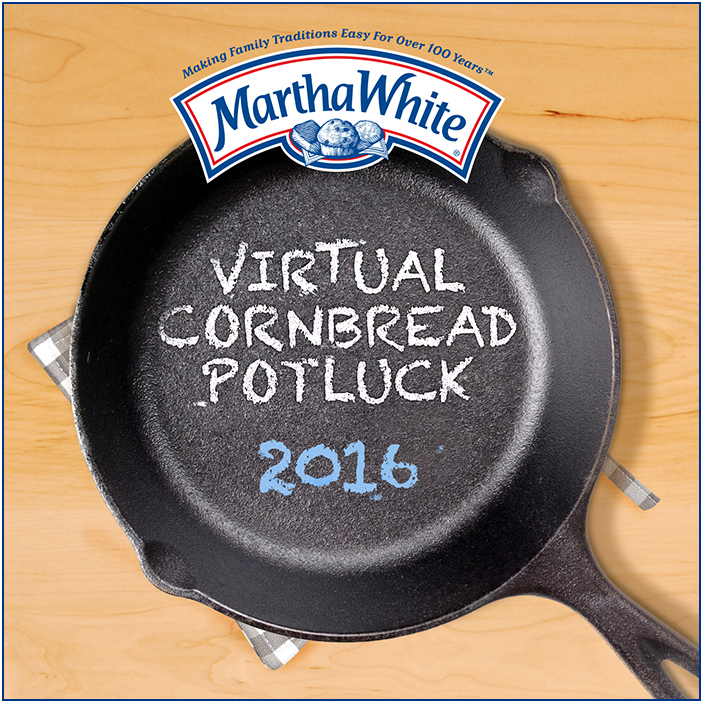 Make sure to check out the rest of the Martha White Virtual Potluck! Preheat oven to 400ºF. Spray a 12-cup muffin pan with cooking spray. Set aside. In a bowl, whisk together Martha White Buttermilk Cornbread Mix and milk. Fill muffin pan cups half-way full. Combine cheese, chicken and BBQ sauce. Top each cup with muffin batter with chicken mixture. Bake 15 to 18 minutes, until golden brown. Serve with additional BBQ sauce, if desired. This is a sponsored post written by me on behalf of Martha White. What a fun little meal on the go!! Perfect packed into lunches. Love Love Love this cornbread recipe Stephanie!! Looks terrific! Stephanie your photos are beautiful and these look so delicious. Shut up! This looks ridiculous! Can't wait to try them, Stephanie!